As industry adoption of Risk-Based Monitoring (RBM) rises, so does the question of how moving from traditional research models to RBM will impact clinical research team structure. While functional roles remain similar, the skills and focus areas for team members of a risk-based program are evolving to become more analytical. Traditionally, on-site monitoring activities have been approached like an audit in nature. On-site CRAs review data entry documentation, processes and research environments with a high degree of scrutiny to ensure regulatory compliance. In risk-based monitoring studies, the quality of data is managed preemptively using RBM technology and data visualizations. These tools enable study teams to identify and resolve issues earlier, which may not require an on-site visit. In order to be successful, RBM team members - regardless of functional area - must have strong analytical skills to assess site performance in relation to study-specific Key Risk Indicators (KRIs). As project activities evolve with RBM technology, so do the skillsets required. The table below compares traditional model skills to skill requirements for an RBM model. While skillsets may be evolving for clinical team members, the RBM structure and functional roles do not vary far from the traditional clinical trial operations model. 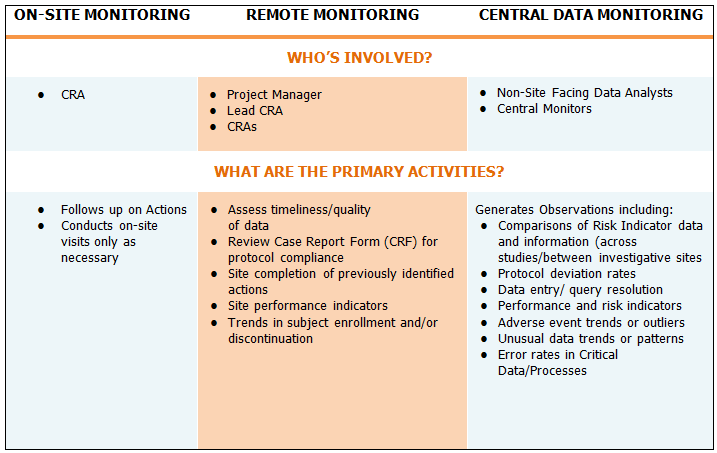 That said, understanding primary activities and identifying the roles involved for monitoring specifically in a risk-based model is essential for structuring successful RBM teams. Learn how your team can develop these skills using a risk-based monitoring approach, through Advanced Clinical University. As skill requirements within clinical research evolve, there are tools and resources available to help equip clinical industry professionals with the experience needed to meet new workforce demands. Advanced Clinical University (ACU) is one of the available programs that can provide real-world training in risk-based monitoring approaches. Click to learn more about how ACU can help your team develop critical risk-based monitoring skills. 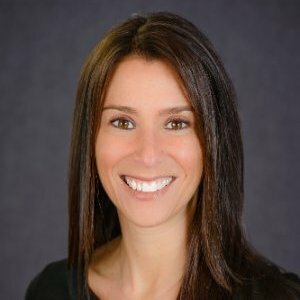 Melissa Mauriber, Vice President, Clinical Operations Quality & Talent Development, is an executive level clinical research professional who has been in the industry for 25 years. Melissa is the Program Director of Advanced Clinical University in which she developed the program geared to train individuals in clinical research. In addition, she provides leadership, policy-making, infrastructure development and regulatory guidance to Advanced’s clinical operations teams. Melissa played a key role in Advanced’s initiative to establish risk based monitoring infrastructure.